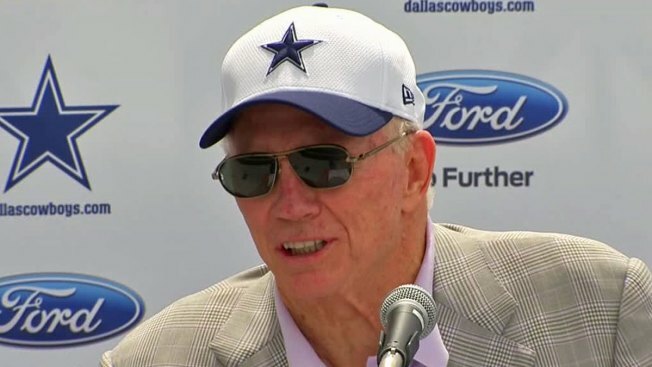 We still have almost a full week until the Dallas Cowboys’ second preseason game, but on Sunday, owner and general manager Jerry Jones declared two All-Pro pieces on the offensive side of the ball out for the exhibition match-up with the San Francisco 49ers on Aug. 23. Left tackle Tyron Smith is dealing with a biceps injury suffered last Tuesday, and receiver Dez Bryant is still nursing a hamstring issue suffered a week and a half ago. Neither played in the preseason opener against the Chargers, and per the Dallas Morning News, Jones said neither will play against the 49ers. If you’re looking for more promising news on the injury front, Doug Free returned this weekend to full participation in team drills after another issue in that surgically repaired foot/ankle area surfaced on Aug. 5.